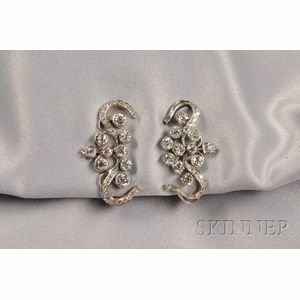 Diamond Earclips, each scrolling form set with old European and old mine-cut diamonds, approx. total wt. 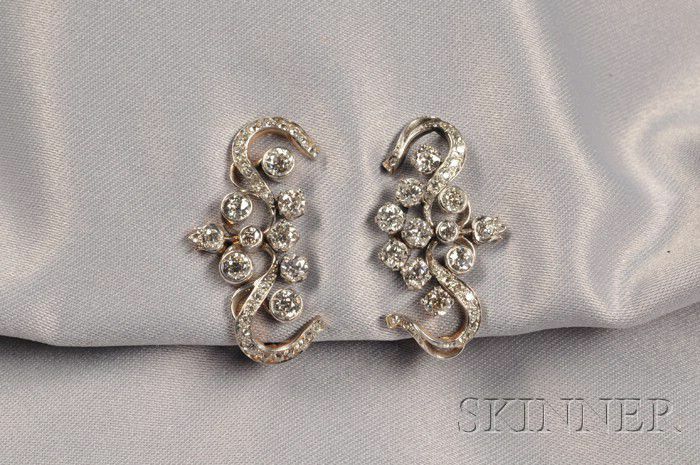 2.60 cts., platinum-topped gold mounts, lg. 1 1/8 in.